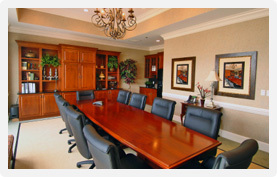 The office of Banas Law Firm is located just north of Tampa International Airport in Tampa, Florida. We are conveniently located at the intersection of Woodland Center Blvd. and W. Waters Ave near N. Dale Mabry Hwy. and the Veterans Expressway-Suncoast Parkway (State Rd. 589).